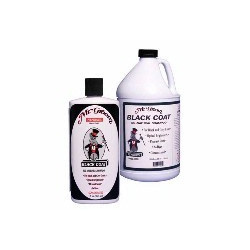 To meet the precise demands of clients, we offer a wide range of Black Coating. These are extensively demanded by clients owing to its high effectiveness, good quality and reliability. Our clients can avail these in various range and specifications as per their precise demands and requirements. We offer these at feasible rates. “Kundu Petro - Chem Corporation” was incorporated in the year 1996 with a view to provide a wide range of automobile components to a large number of customers with its business offices located at Kolkata, West Bengal (India). We specialize in the domain of manufacturing and supplying of a varied range of automobile components and spare parts oil, grease and petroleum jellies. Our wide range of product includes Lubricating Oil, Lubricating Grease, Coating Compound, Petroleum Jelly, Industrial Grade Petroleum Jelly and many more. We have acquired a prominent position in the industry with the help of our extensive product line and manpower’s competency. Our product range is being extensively appreciated and demanded by our customers owing to their superlative quality and long term durability. Our products are offered by us to our clients at market leading rates and we also offer our clients with customized solutions. We accept payments via a number of transactional gateways cash, cheque and demand draft.